On the occasion of the “Health Week” , the Pregnancy Center in Plovdiv, the Diagnosis and Consultancy Health Center 1, the Plovdiv Municipality and the Regional Health Preservation and Control Inspection organize a round table for the discussion “What should I eat to become health and big”. The national plan “Food and Eating” until 2010 in the age group of kids up to age of 7 is expected to be discussed, with the participation of pediatric gastroenterologists, neonatologists and nutritionists. 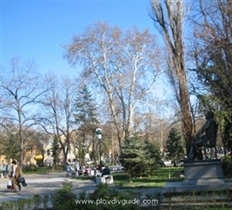 The round table will take place Thursday, April 6th, 11 AM, at the Press Club of the Plovdiv International Fair.